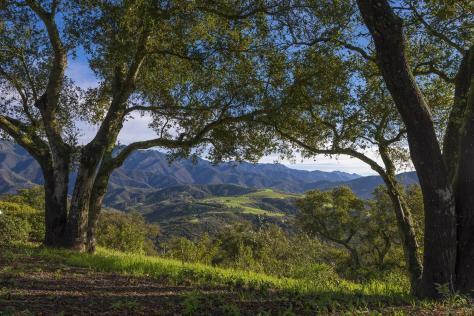 Perched in the foothills of the Santa Ynez Mountains and surrounded by the peaceful sylvan setting that is Toro Canyon Park, this incomparable 40+/- acre estate seems a world away yet is mere minutes from all the wonderful amenities of nearby Montecito and Santa Barbara. The over 6000 sq. 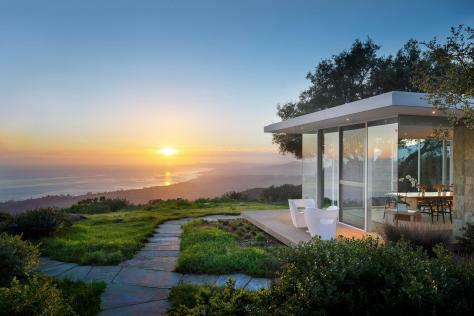 ft. main residence, its 2-bedroom guest house and multi-room cabana were designed by award-winning architect Andy Neumann, and constructed to exacting detail and with use of the finest custom materials by master builders and craftspeople. 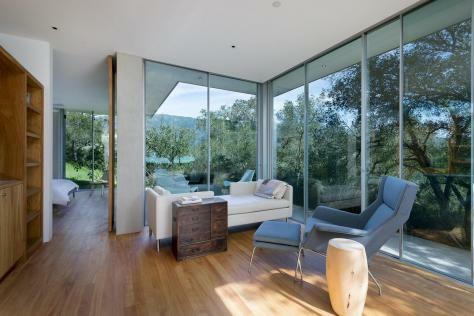 A stunning example of Modernism, the structures combine functional minimalism with expanses of retractable and Vitrosca Invisible Wall glass; focusing attention on the surrounding natural spectacle. 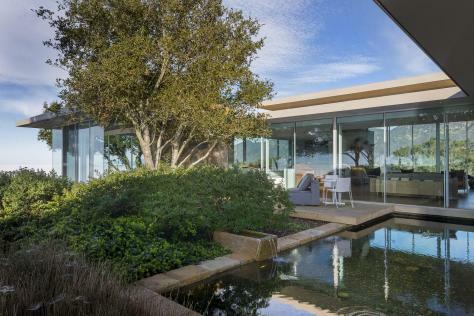 The dramatic walls of glass along with walnut floors and cabinetry, and freestanding walls of precisely cut native sandstone deliver instant notice that this is a very special home. 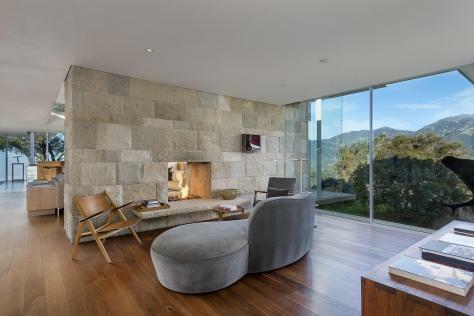 There are rooms where those stone walls embrace tastefully embedded fireplaces that, in turn, cast playful reflections on the nearby glass. 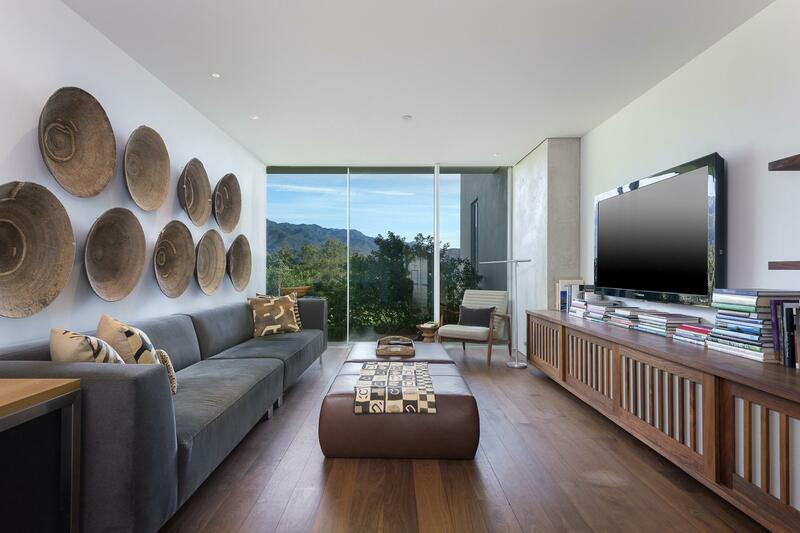 The finest modern amenities and details embellish the home and add to its aesthetic, practical, and romantic value. 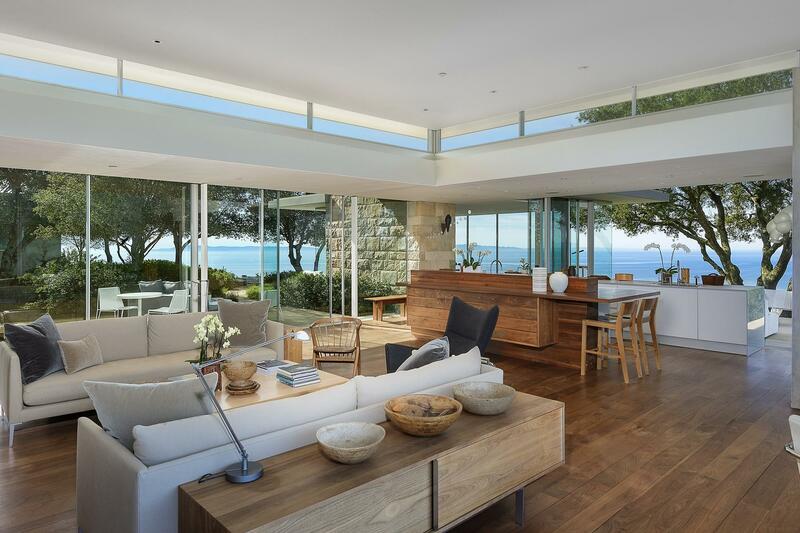 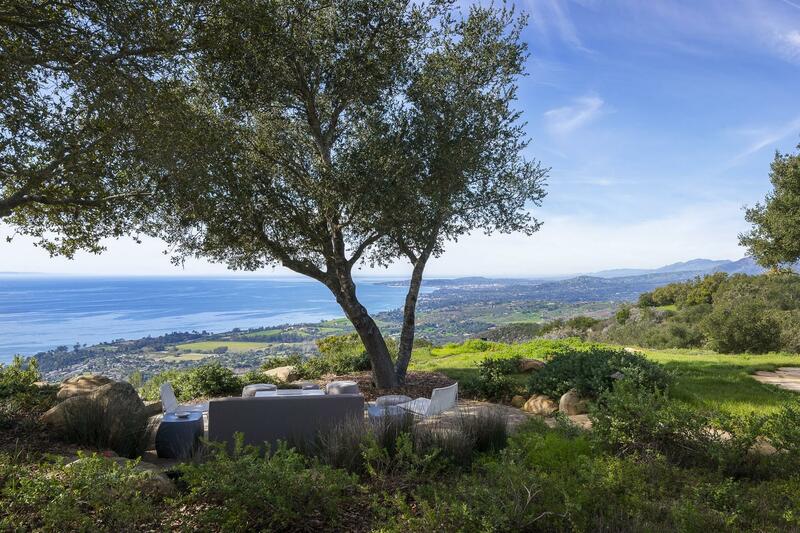 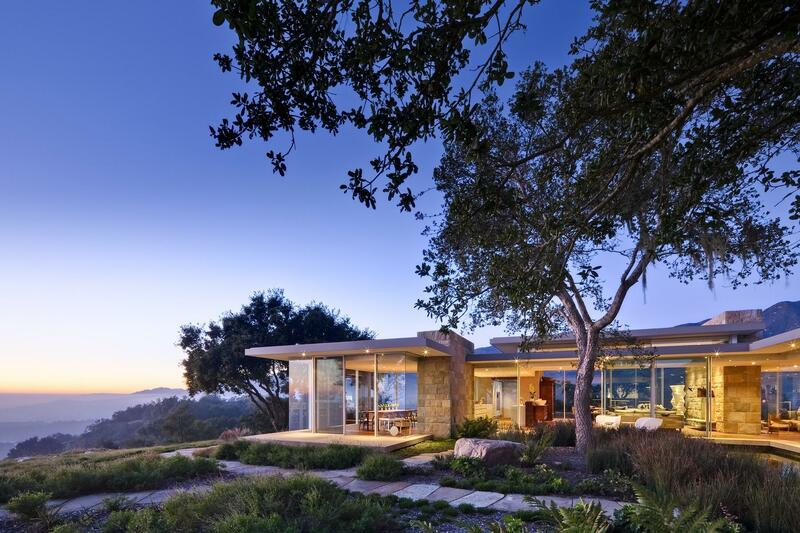 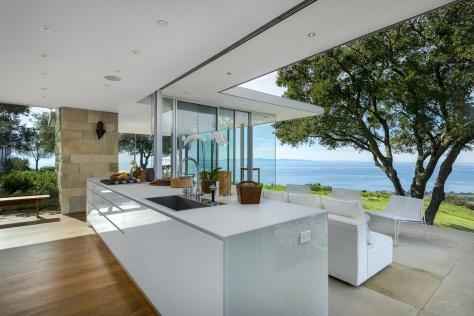 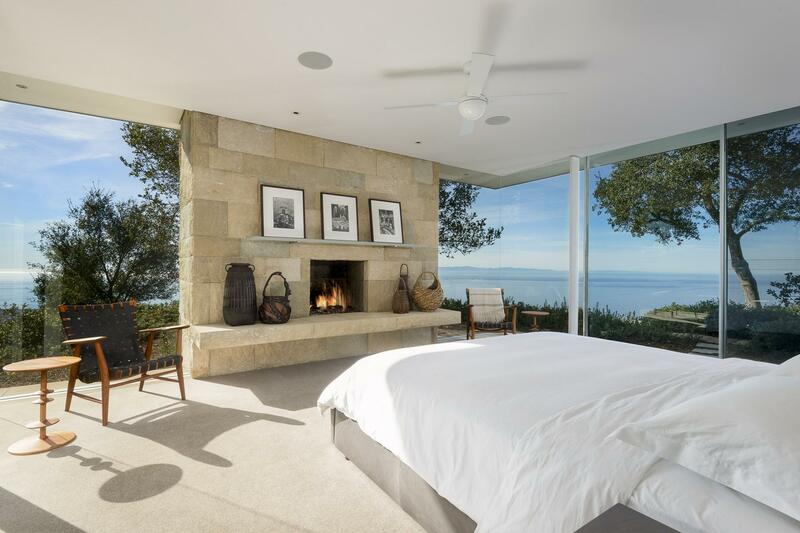 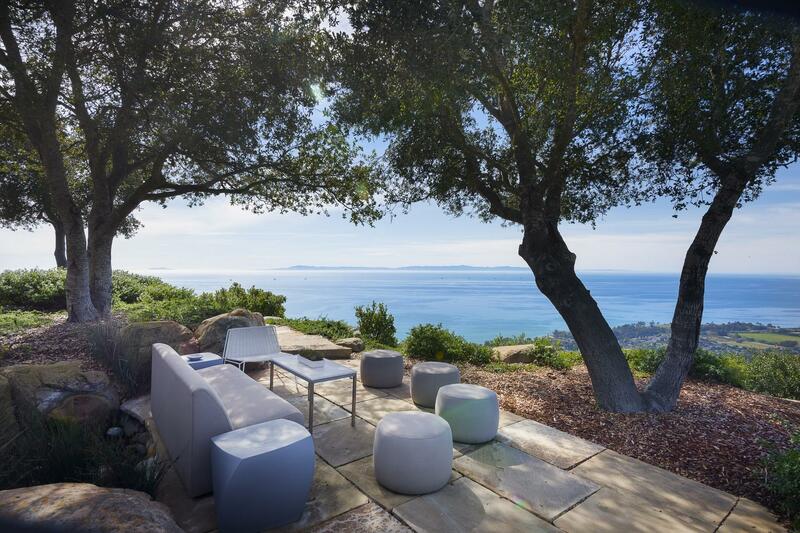 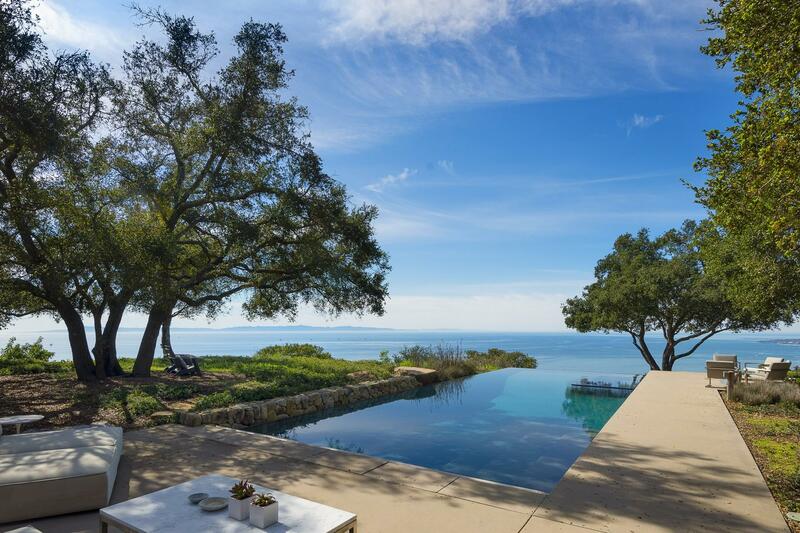 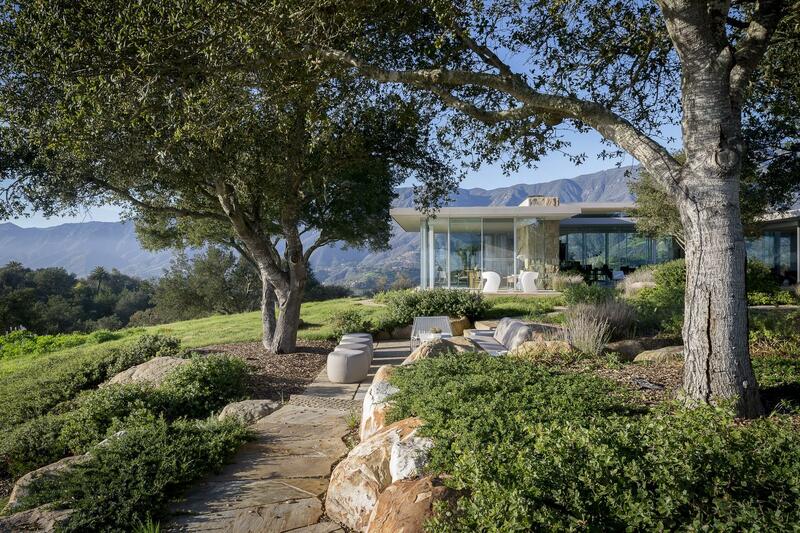 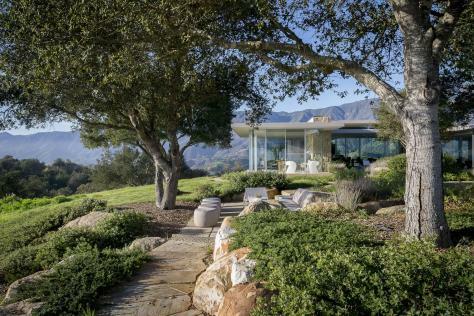 Many refer to this home as the most beautiful modern home, on the most beautiful lot, in all of Santa Barbara. 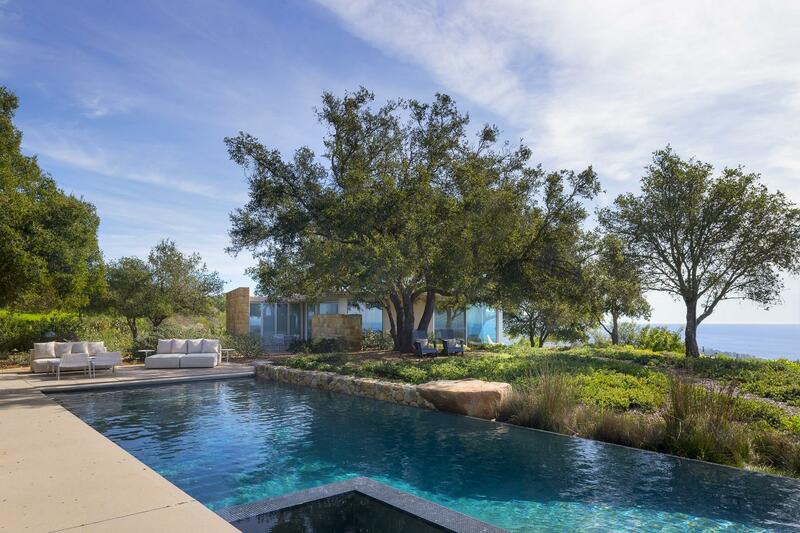 Resting within their environment rather than upon it, the estate's main residence and secondary structures are set amidst understated landscaping utilizing native plants and majestic mature oaks. 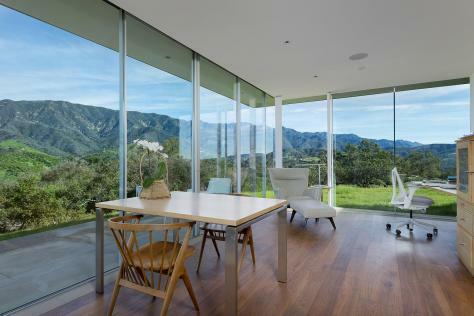 Their natural yet strategic placement complements the outstanding views experienced from both their interior and exterior. 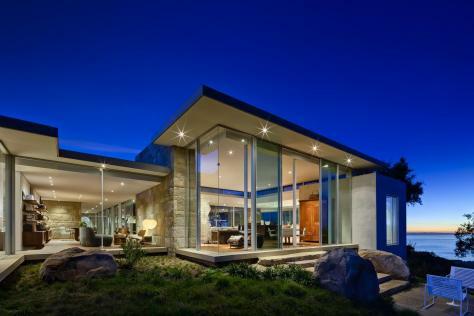 These are dwellings celebrating spaciousness and light, form and texture. On display are unparalleled panoramic vistas of mountains, ocean, Channel Islands, and beyond to the horizon. 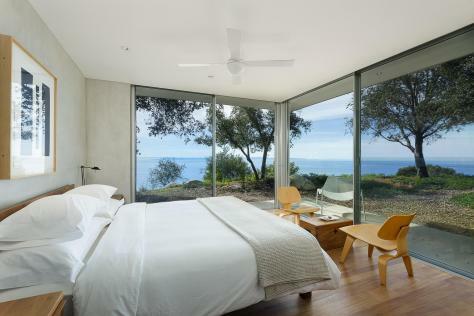 Here on this singular perch, the genius of human design pays homage to matchless natural wonders.